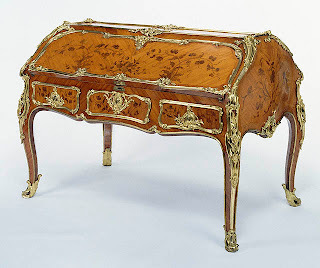 To Reproduce Antique Furniture masterpieces by Chippendale, Sheraton, Hepplewhite, Phyfe, other craftsmen , you have to know the Fundamentals, tools, woods, hardware, joinery, dovetailing, finishing . 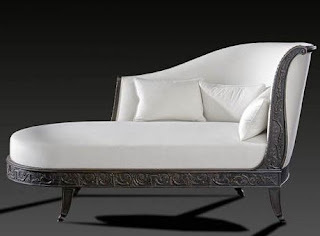 Finding rare Antique Furniture which can be identified by a detail in the carving, a special mount and perfect proportions is the essential first step dictated by the love of antique furniture and wood. 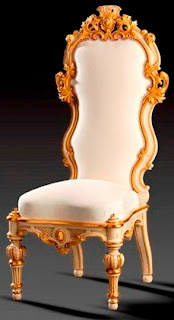 The woods worked in Reproduction antique furniture procedure are mainly beech and mahogany. the frames are mortice and tenon built with pegs where the model for the era used them. Canework should be done entirely by hand, strand by strand, each strand being knotted and the knots hidden at the back of the chair using the traditional rabbet method. To adhere to the proportions and depth of the carvings of each original model to the nearest millimetre, the craftsmen work with the piece from the period in front of them to serve as their yardstick. the craftsmen should be chosen for their artistic sense and their sensitivity to subtleties. These qualities truly bring the chair to life according to its shapes and carvings or the reproduction of a very specific shade of finish. However, the personal touch of each crafstman is part of a strictly-defined methodology, the result of many years of tradition, to retain a continuity in the tones of finish offered. It is this discerning mastery of creativity and the reproducibility of patina which guarantees the mark of a crafstman of luxury items. The marks of two hundred years of wear and tear are faithfully reproduced, from dust and woodworm holes to the lustre and natural patina of a wood which has aged gracefully. To allow the wood of reproduction antique furniture to be deeply impregnated with successive layers of wax, each piece stands for several days in our workshops between the different finishing stages. This technique gives the wood antique furniture a natural ageing effect and a warmer and livelier patina. What is more, all the patinas will become more pronounced over the years, just as that of an inherited piece of antique furniture.